The toughest possible conditions, the highest possible standards. We see the world’s most severe winter weather as a test. It’s a test for our engineering, design and, last but not least, our people. The mission is simple—to keep you in control and safe, on- and off-road, no matter what it takes. We accept the challenge. Jaguar winter wheels are designed and rigorously tested by our specialist engineers to complement your vehicle’s thrilling performance. We also work with some of the world’s most respected premium tire manufacturers to offer one of the finest ranges of Genuine Winter Wheels and Approved Tires available. Our collection of winter wheels and tires deliver the best possible handling, no matter how demanding the road ahead may be. They are built for durability, as well as to provide optimum grip, traction and, of course, Jaguar-levels of refinement. is maintained in extreme weather. High-speed wet track testing ensures Jaguar winter tires maintain the strongest possible grip, even in heavy rain. This is followed by stability testing to establish superior handling during dynamic manoeuvres. 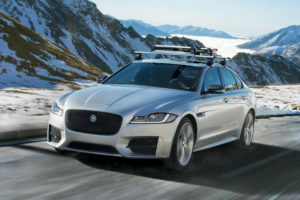 Jaguar wheels undergo a wide variety of rigorous tests to prepare them for extreme winter surfaces and conditions. – Temperature Testing: Wheels are tested to endure a temperature range from -40°C to 80°C and in conditions of 100% relative humidity. – Accelerated Environmental Testing: Each wheel is blasted continuously with salt, dirt and dust to simulate every possible driving condition. – Curb Testing: To make sure our wheels are capable of withstanding accidental impacts and maintaining their structural integrity, we drive them into a 150 mm curb at 40 km/h. The ability to stop quickly and in control is even more important during unpredictable winter weather. In winter conditions, our Approved Tires have a significantly shorter stopping distance than our summer tires—reducing braking distance by up to 64% when a vehicle is travelling at a speed of 100 km/h on an icy road*. So, as temperatures plummet, you’ll drive with confidence, no matter where you go. Accessories are designed and engineered to withstand extreme conditions. They’re extensively tested to ensure quality, compatibility and strong performance. 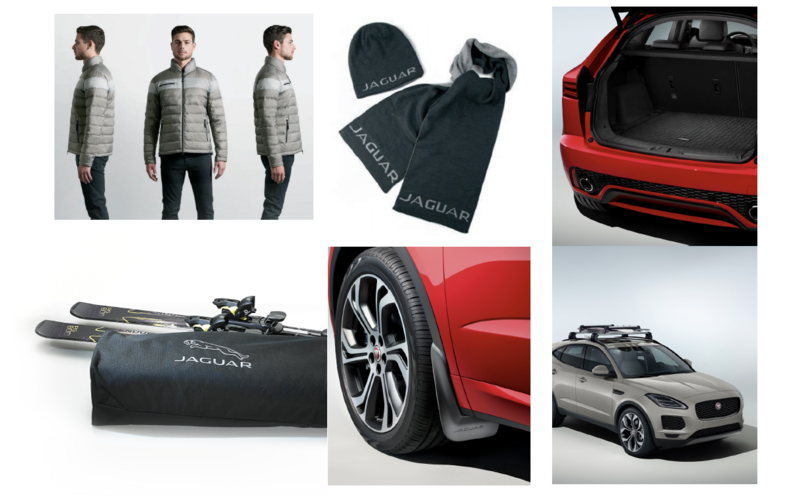 Get ahead of winter with Jaguar winter wheel packages starting from $3,100. Installation for set of 4 $139.95 +tax. Call 902.453.1233 for details & inquiry on additional sizes.